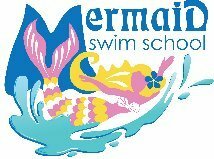 Mermaid Swim School teaches private swimming lessons in the tranquility of your home pool or vacation resort. Christopher went from being completely dependent on a floatation device to swimming independently for an entire 40 minute lesson. At first Lee was hesitant to work with a private coach, but once he found out your instructor swam for the Gators, he became super excited. He looks forward to his lesson and we are so happy with his improved time and technique. Max is training to swim competetively.